RainExpert SUV tyres offer excellent performance in both wet and dry conditions but the tread pattern on this Uniroyal option allows for greater handling, braking and water dispersion in trickier conditions caused by wet weather. This means you can enjoy journeys more and reduce the risk of aquaplaning no matter what the situation or environment and give you the confidence to feel safe and in control at all times. 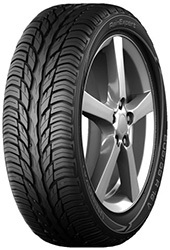 RainExpert SUV tyres are a smart choice for any driver.